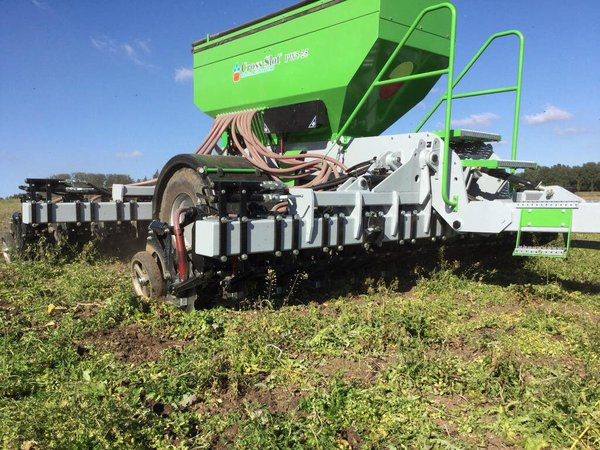 Well done to everyone at PrimeWest, for bringing this technology to UK, No tillage is a sustainable way to manage our soils, but it needs the right equipment , and Cross Slot is that machine. 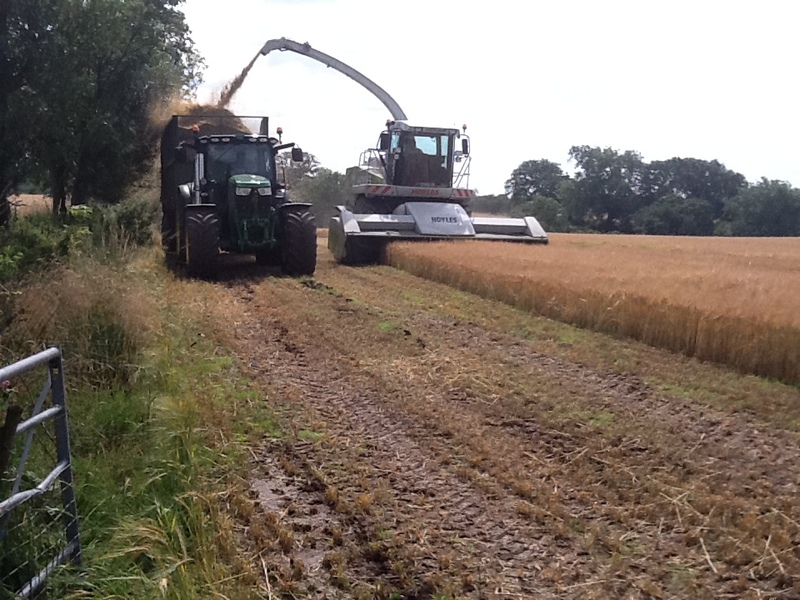 Red Clover shows its a fantastic soil conditioner, as well a quality crop. Red clover to right has had a massive effect on the soil condition, Health and function , compared with the same soil on the left. Its a case of what can Red Clover do for you as a crop, as well as does my soil need improving. After a spike in growth , its back to the predicted curve. 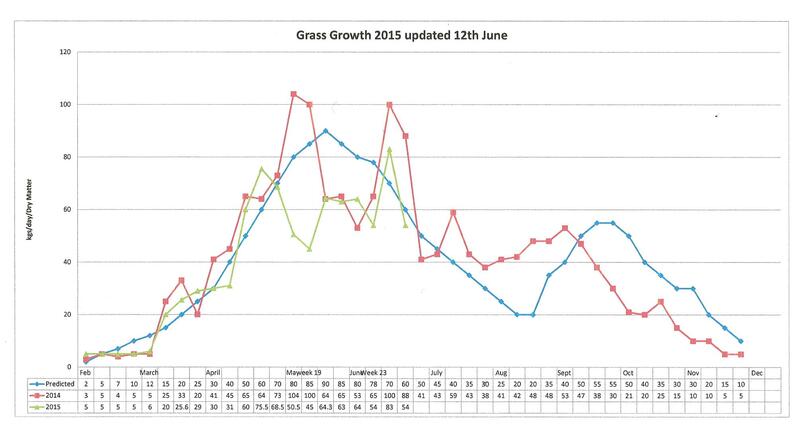 Grass still behind last years curve in the North West, soil temperature this week however have hit 18 degrees, so hopeful of some improvement. 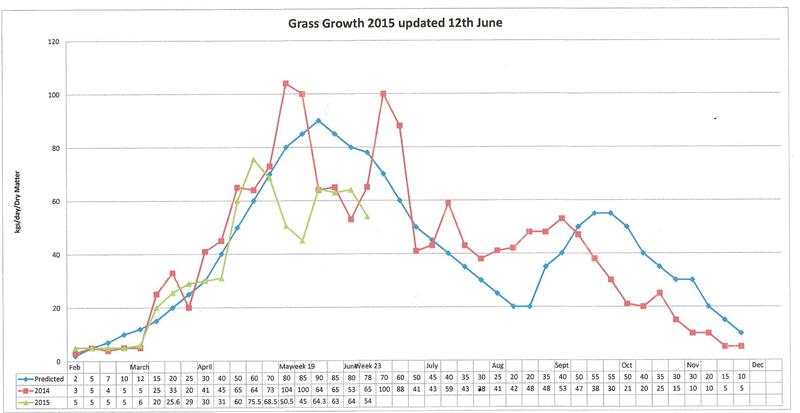 Grass Growth across Lancashire this week have taken us above last years curve, this is after however a slow start. So keeping on top of grass is key now to ensure quality through the season. 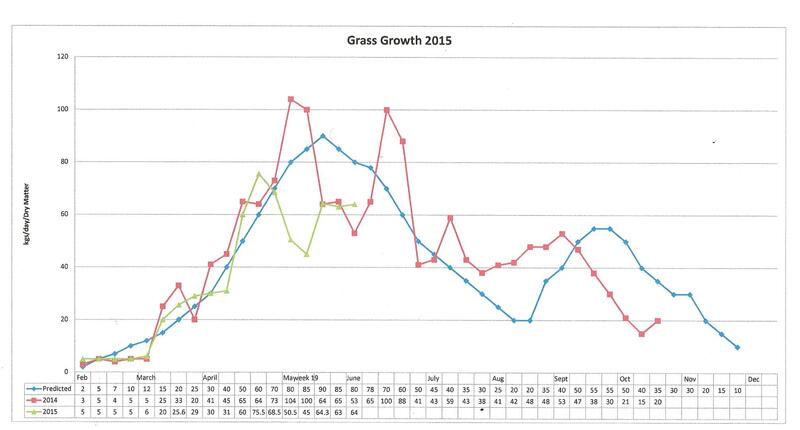 As some dairy cows start to venture out on to grazing platforms at the start of the 2015 season, so does the measuring of grass growth. The light green line are this years measurements to date , so it is noticeable that we are slightly behind last year. Soil temperature’s in the Lancashire (Fylde Area) are this week running at 6-7 degrees (daytime). Cow Building Lighting Getting it right can make a difference !. Evidence shows that milk output and feed intake is highest when light periods of 16-18 hours per day at 160-200 lux, and dark levels of 50 lux for 6-8 hours. 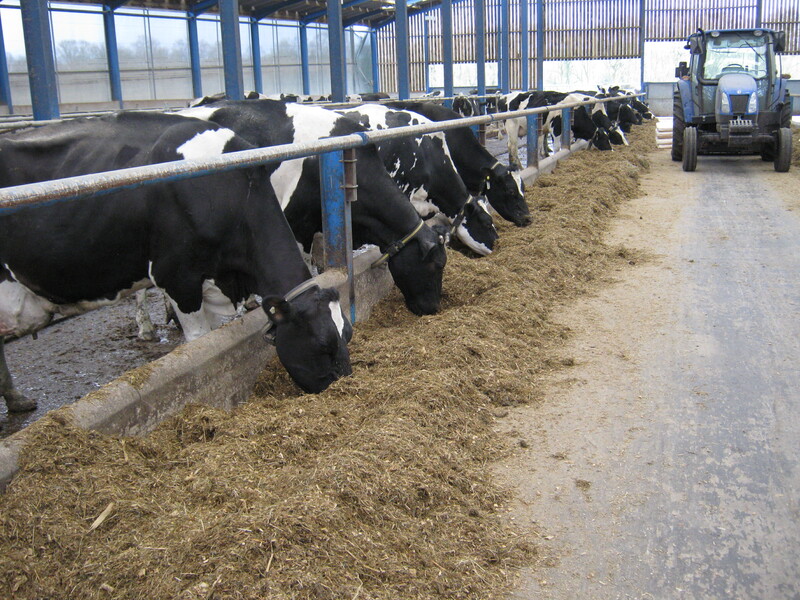 Dry cows however are different there is new work to say that they prefer long nights and shorter days (8 hours light and 16 hours dark), this has shown improvements in subsequent lactations (it effects mammary gland growth and immune function). 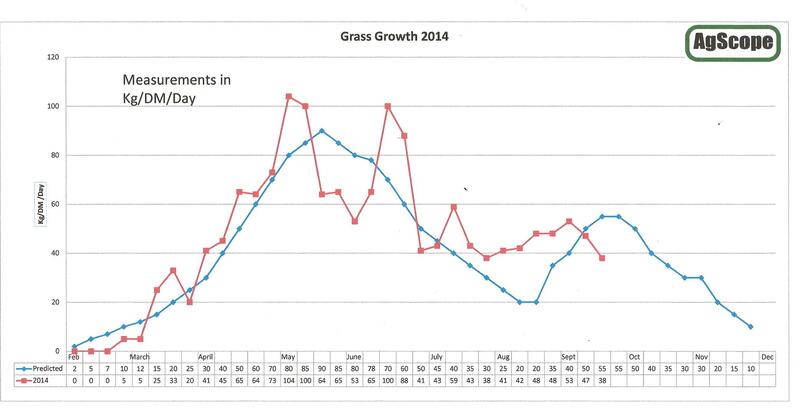 Grass growth slowed down in September, due to lack of water !! !